Reading to Kids has internship opportunities! 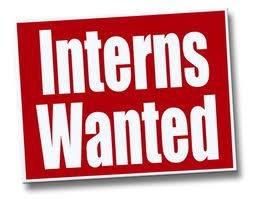 We are looking for college students to intern at the office (part time and full time positions are available). Interns should be available to work a minimum of 4 hours per week in the office. In addition, if you are a volunteer (age 18 and up) seeking an ongoing opportunity to help out with Reading to Kids, we would love to have you volunteer in our office in West Los Angeles. We are seeking part-time volunteers to help with administrative duties for 4-20 hours per week. Please contact us at (310) 479-7455 if you are interested in learning more about how you can help. Interns will support the day-to-day operation of the office, in addition to taking on individual, long-term projects. Interns should expect to learn the ins and outs of running a small non-profit, including but not limited to: grant-writing, program evaluation, volunteer coordination, community and school relations, and administrative operations. It is Reading to Kids' hope that interns emerge from this experience with a sense of community organizing at its best and with a strong educational and employment experience that will serve them in years to come. This is a great opportunity for students interested in a career in the nonprofit sector. We are seeking motivated and mature candidates with outstanding oral and written communication skills, office experience, enthusiasm for non-profit work, and strong organizational skills. Experience with Microsoft Word, Excel, and Web Expressions is a plus. The internship is unpaid, but interns may be able to obtain work-study funding, grants for participation, or course credit. If you are interested, please e-mail your cover letter and resume to internships readingtokids.org.